We will give a customised quote based on your exact requirements. Why are bookkeeping expenses skyrocketing for small businesses? Have you ever played stress buster games online? Apparently, they are very popular and have several million fans. The objective of the games is to relieve the players of stress. There is one such game in which you hit the screen with a hammer. You can imagine the screen to be anything or anyone – your boss, your ex, your neighbor, morning traffic – just about anything. You then hit the screen hard to vent out your anger and frustration. If you are running a small business, next in line would be probably ‘bookkeeping’! Or worse, your bookkeeper! Why does bookkeeping cause you tremendous stress? There are three ways in which bookkeeping is usually done. All three options could cause you a lot of stress. Let us see how. When you manage books of accounts yourself, you tend to spend a large part of your time counting numbers when you should be out meeting clients. Time lost is as good as money lost – or well just as bad. When you hand over the task to the admin, you cannot be sure that the accounts are accurate. Lack of proper training might result in mistakes. Thus you may run the risk of submitting improper account books. Appointing an in-house bookkeeper is pretty expensive. It calls for hiring and training, setting up computers and accounting software, office space and other necessary facilities. These expenses sure do empty pockets. The bookkeeper’s salary alone could cost you anywhere between $30,000 and $35,000. Along with other expenses, you might have to spend over $45,000 a year on in-house bookkeeping. So how do you keep the expenses under check? By outsourcing bookkeeping services, you can bring down the cost by 50% and more! How? All you would be required to pay is a small set up cost and a monthly fee of about less than $2,000, in any case. That, in total, amounts to less than $25,000 a year! It is not just the money you save – but also time, space and other resources. Outsourcing is by far the simplest and the most effective solution to enjoy great benefits at reduced costs. 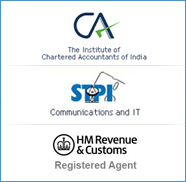 Integra offers you all the benefits of outsourcing bookkeeping activities. Our methods are simple and cost-effective. Our team of bookkeeping professionals would guide you through the entire process. Now you can keep the hammer aside (as far as bookkeeping is concerned!) and lead a stress-free business life! Copyright © Integra Global Solutions.